Could Gluten be Lurking in Your Spice Cabinet? 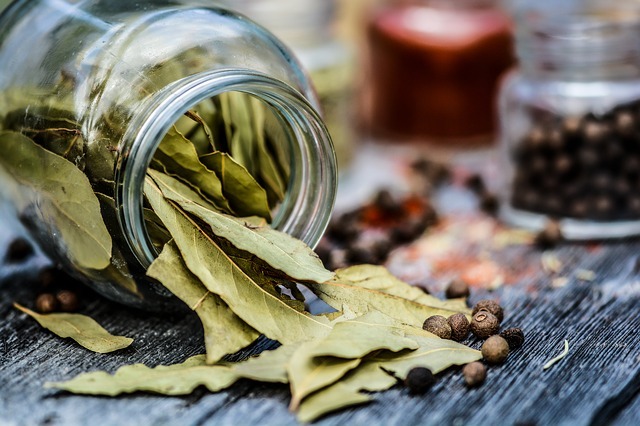 Herbs, spices, and spice blends are customary ingredients in Canadian cuisine. Statistics show that the usage of spices in Canada over the last twenty years has gone up by around 40%. Our palates are thrilled by the richness of flavor added by seasoning anything thrown on the grill or frying pan. Asafoetida: This is a common spice in Indian cooking that lends a garlic flavor to the dish. Asafoetida is a powder made from the dried gum of a root called ferula. Although the powder is naturally gluten-free, it is almost always manufactured by diluting it significantly with wheat flour. When eating at Indian restaurants, be sure to ask if asafoetida (often referred to as ‘hing’) was used in the preparation of your meal. Taco seasoning / Cajun seasoning: Taco seasoning in bottles or packets usually contains a blend of spices such as cumin, cayenne, garlic and much more. The seasoning generally uses flour as filler. The same applies to Cajun seasoning and other blends. Pre-packaged spice blends: Certain types of pre-packaged spice blends may contain a gluten containing filler that could pose a risk to gluten-sensitive consumers. Wheat flour or wheat starch is sometimes used as a carrier agent in pre-mixed spice blends. Individual Herbs: Individual herbs and spices do not usually contain gluten, but spices can often be adulterated with wheat flour or wheat starch to reduce cost and, depending on where and how the spices and herbs are packaged, it is quite possible that they could be cross-contaminated with a gluten source. Bulk herbs and spices: Herbs and spices sold in bulk from bins and jars are often contaminated. Bulk containers are not always cleaned well as they can be difficult to clean completely, and they may be a source of cross-contamination. How can you avoid herbs and spices that contain gluten? Straight spices like dried herbs should be fine for anyone avoiding gluten, but to be sure the label should say certified organic gluten-free. If the food label doesn’t specify whether the blend is safe for your consumption, it’s best that you go organic! 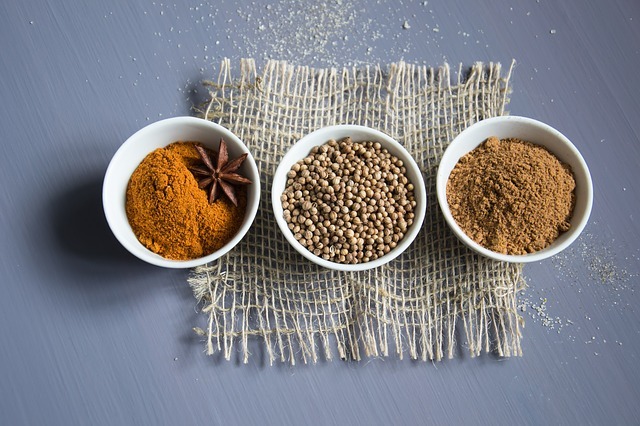 The advantage of organic spices is that they contain none of the fillers, synthetic anti-caking agents, artificial colors, flavors or preservatives that may be found in conventional spices. Another advantage of using organic spices is that you can get creative and make your own spice blends from scratch.